Prayer is a priceless way to support our families, our marriages, our homes… every aspect of our lives. In each season we face, God El Roi, the God Who Sees, answers when we call. Even when inaudible heart cries come from our deepest concerns and emotions, it is our God El Shama, the God Who Hears Me, who turns His ear to our soul’s conversation and supplies manna for our inner most being. We can trust Him to be intricately tuned in to every aspect of our life. We need only reach for Him through His powerful, faster-than-4G, wireless connection called prayer. 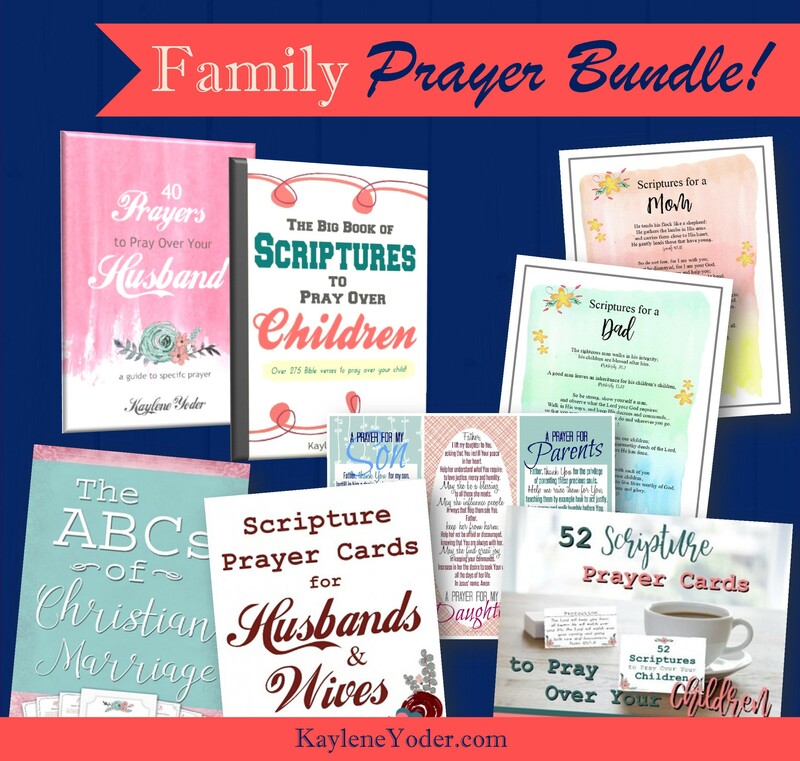 So, in an effort to equip woman with powerful praying tools, “A Praying Woman’s Jackpot” Prayer Bundle provides the highest demanded prayer resources found here at KayleneYoder.com. * IMPORTANT: After purchase, please look for an email receipt from Kaylene Yoder. You will have two(2) downloads of each product. These expire sixty(60) days after purchase. Due to the nature of this product all sales are final. For best results, please have a printer available upon downloading. is a handy set to have around! 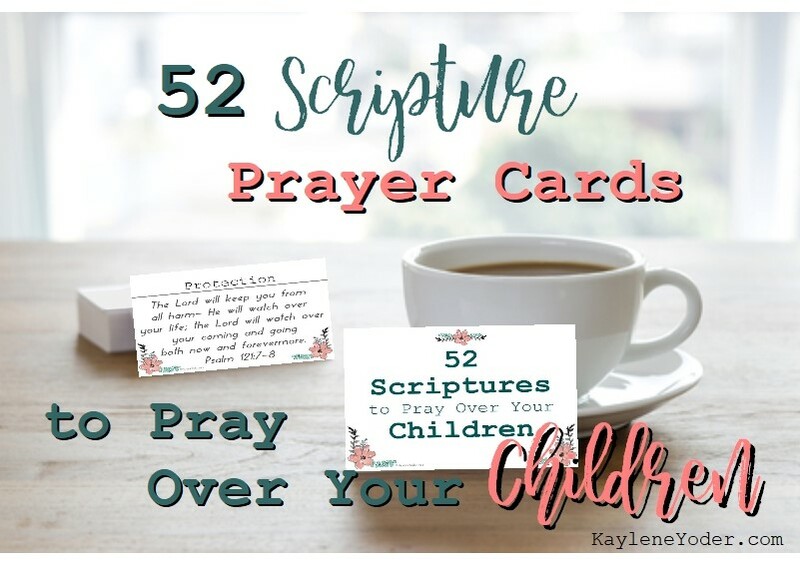 Each prayer card has a different topic to pray about, followed by a Scripture to pray for that topic. Now, whenever your child needs prayer in a specific area, you can find a prayer for his/her need. 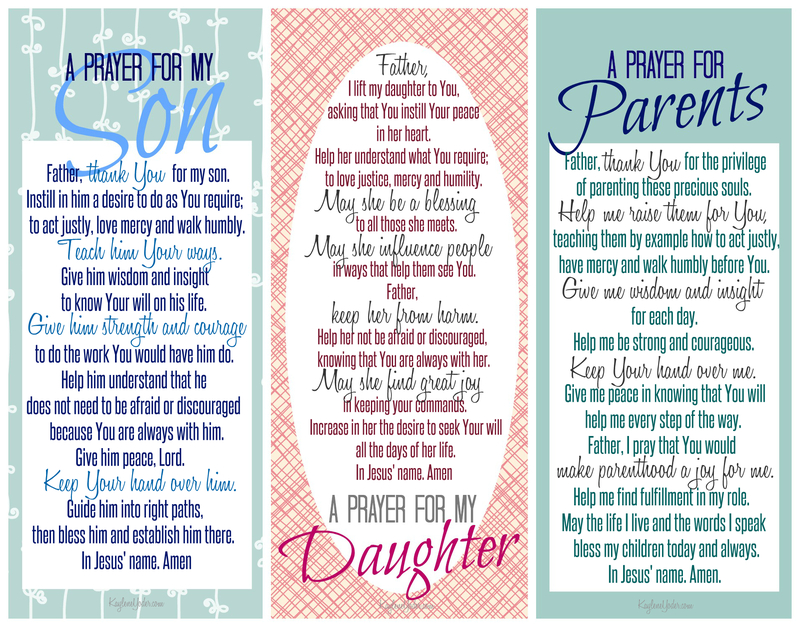 This set of prayer cards is a beautiful way to carry prayer with you wherever you. 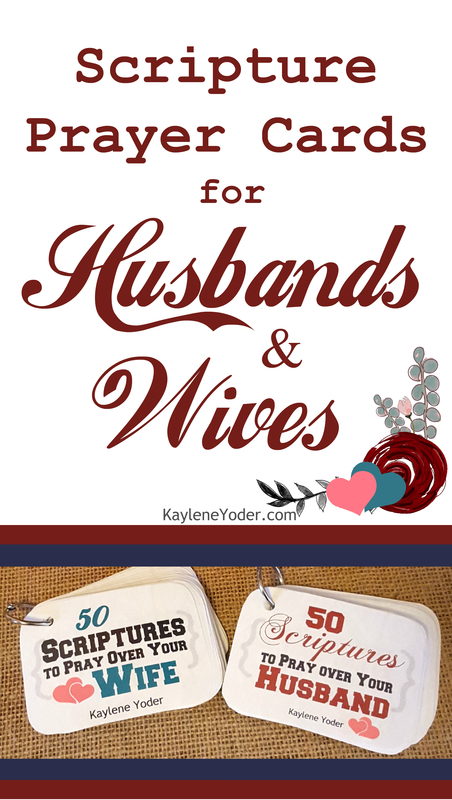 Each set of 50, will equip you and your spouse to pray Scripture over each other continually. 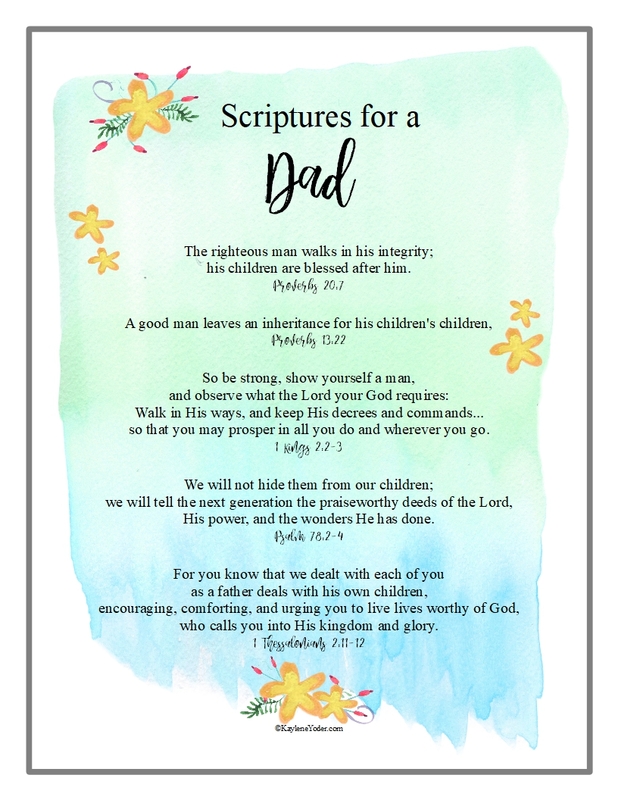 Tuck these in your Bible or a book you are reading as a little reminder to pray for yourself, your son, and/or your daughter. Each of these prayers are formed around a number of different Scriptures. 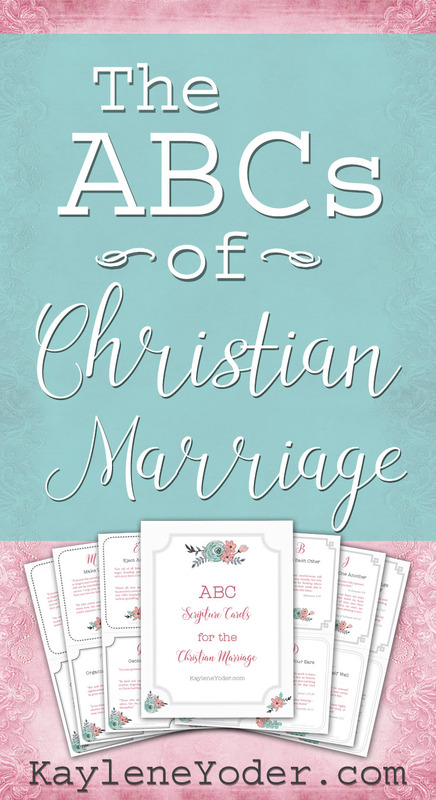 Using the alphabet as a guide, this Scripture cards set provides Bible verses for many topics such as Attitudes, Building each other up, Contentment, and much more! 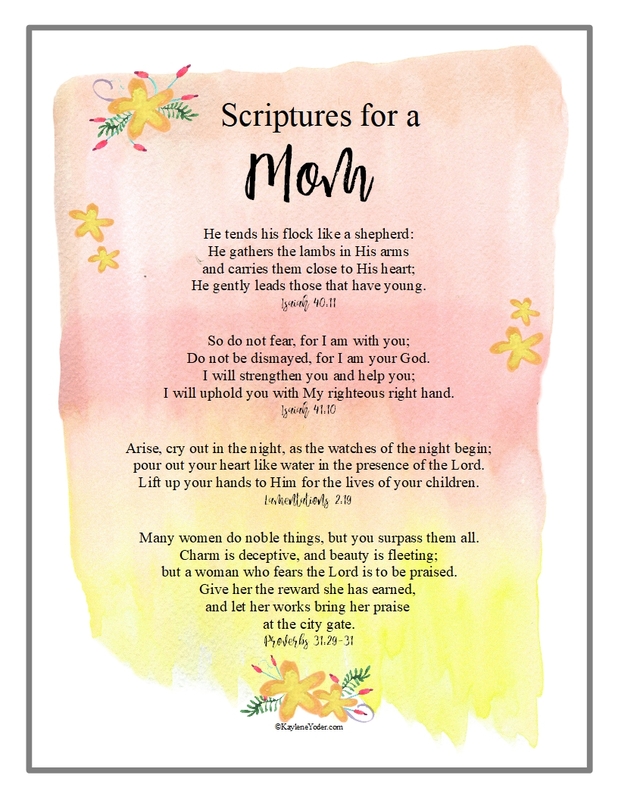 This set of Scriptures for Moms & Dads is a beautiful enough to frame for new parents, or add to your nursery, hallway or foyer where you’ll see it every day. Another great idea is to tuck these in your Bible where you can pray these Scripture for yourself regularly. 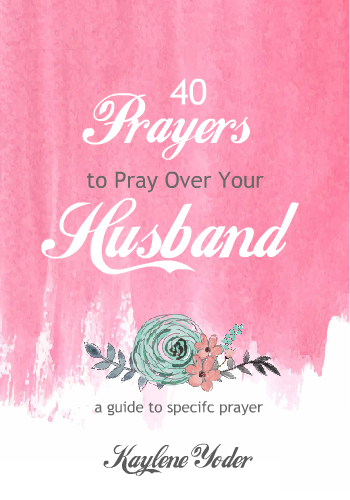 This ebook is a printable collection of specific prayers found in the Amazon Best Selling prayer book, “40 Scripture-based Prayers to Pray Over Your Husband“. 7. 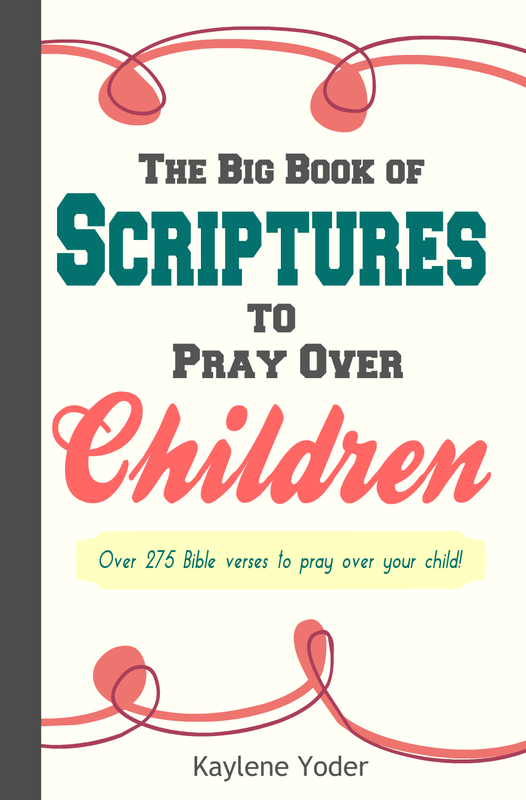 The Big Book of Scriptures to Pray Over Children Ebook. 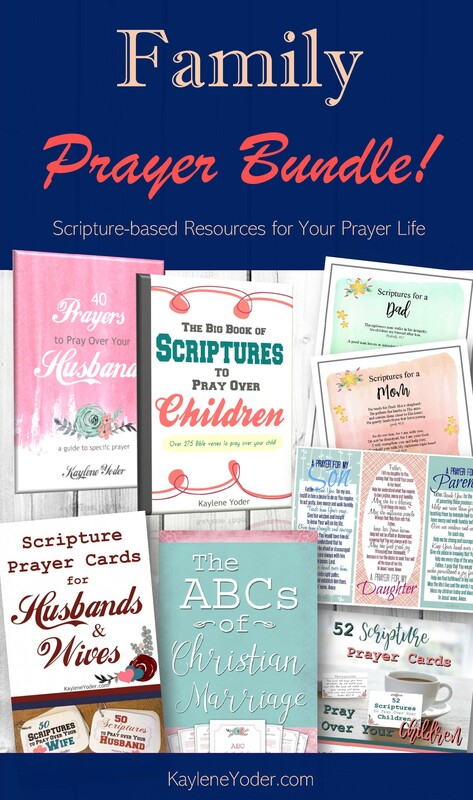 This ebook includes over 275 Scriptures conveniently categorized by topics to help you pray Scripture over your children for years to come. 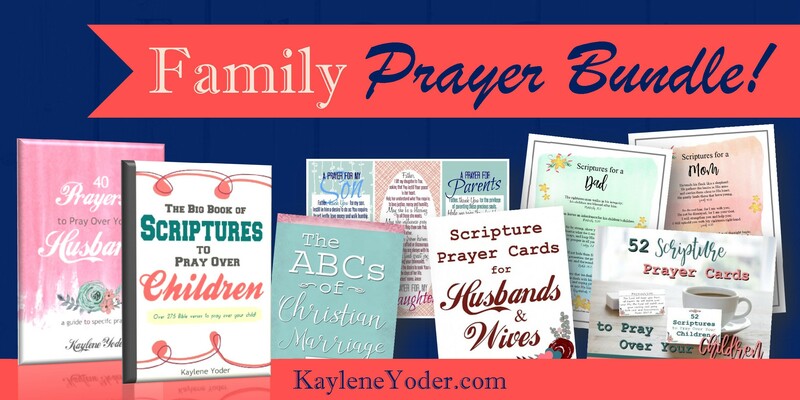 Get all these prayer resources in our Family Prayer Bundle today! IMPORTANT: After purchase, please look for an email receipt from Kaylene Yoder. You will have two(2) downloads of each product. These expire sixty(60) days after purchase. Due to the nature of this product all sales are final. For best results please have a printer available upon downloading. *All products will be delivered in digital form via email from Kaylene Yoder. Please check all folders.